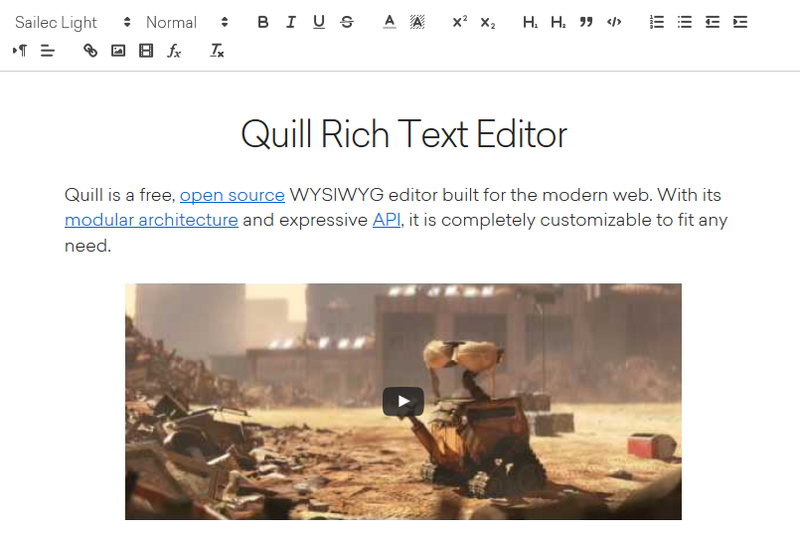 Quill is a modern rich text editor built for compatibility and extensibility. It was created by Jason Chen and Byron Milligan and open sourced by Salesforce.com. To get started, check out the Quill website for documentation, guides, and live demos! Instantiate a new Quill object with a css selector for the div that should become the editor. Take a look at the Quill website for more documentation, guides and live playground! Get help or stay up to date.